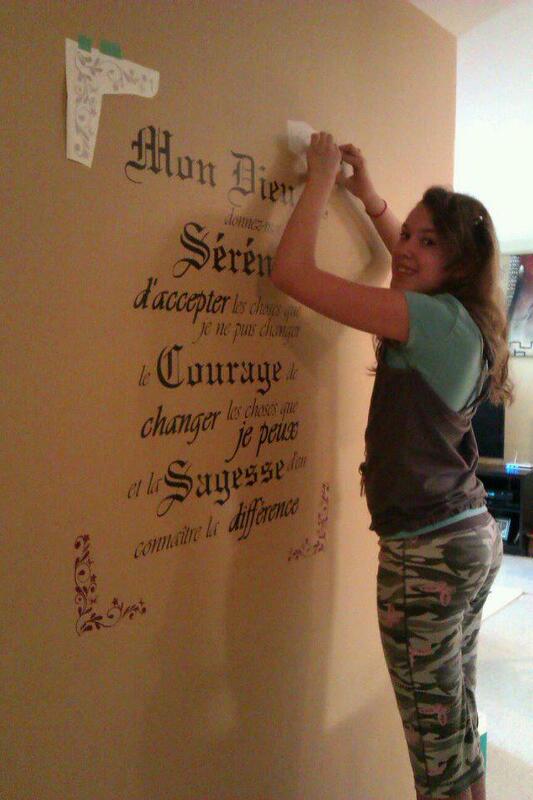 sparklingexpressions: Love Decorating Customers Homes! We love helping customers in finding that exact wall decal, be it inspiring quotes, personal monograms or that something extra to add a finishing touch. 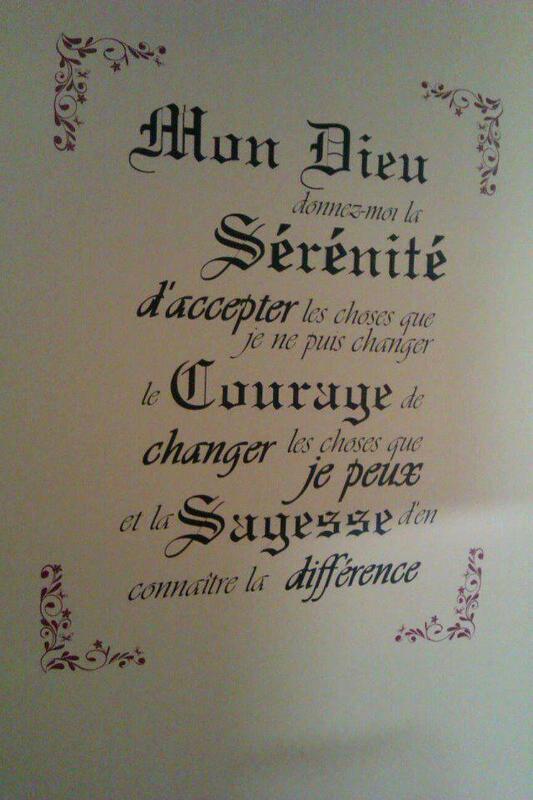 The following pictures are of a recent customer's addition to her wall. 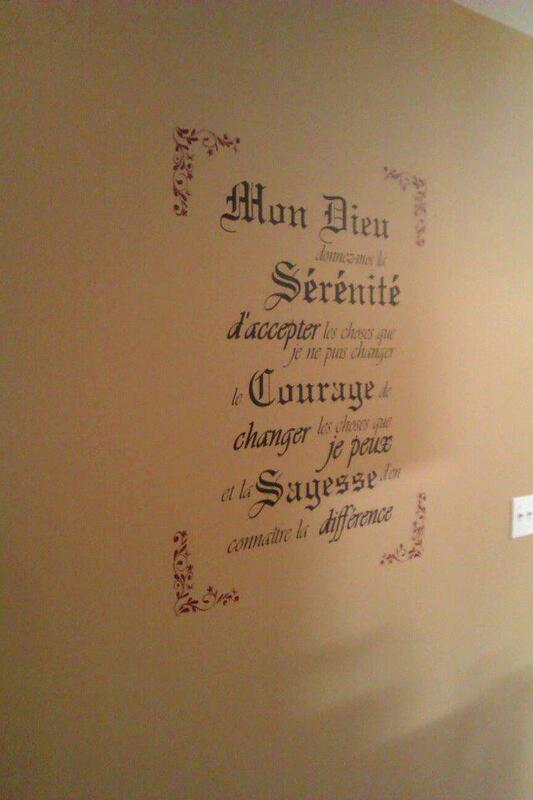 The Serenity Prayer, framed in with butterfly and flower, border corners. Pictured is also one of the sparklingexpressions family members going that extra mile to help put up the vinyl wall decal. 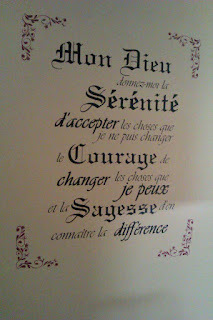 Pictured above is the Serenity Prayer done in a matte black, bordered with a burgundy butterfly and flowers border corners. 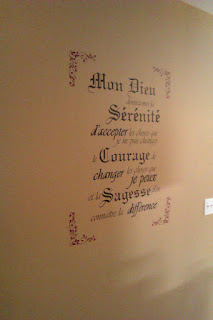 At sparklingexpressions, we love helping our customers personalize their homes!